Bangalore, Oct 9, 2018: IDG Ventures India, one of the country’s leading venture capital firms with over $470 m assets under advisory and a presence in 3 locations, has today announced a re-branding to Chiratae Ventures. Founded in 2006 by industry veterans Sudhir Sethi and TC Meenakshi Sundaram, Chiratae Ventures (formerly IDG Ventures India) has so far backed 76 companies across multiple funds including some of the stellar companies like Flipkart (recently acquired by Walmart), Myntra (acquired by Flipkart), FirstCry, XpressBees, Newgen (that went IPO in Jan-18), Lenskart, Manthan, NestAway, PolicyBazaar, Yatra among others. TC Meenakshi Sundaram, Founder & Managing Director, Chiratae Ventures (formerly IDG Ventures India Advisors) said “We have leading Indian business houses and long-standing global players in India as our investors. And we have been grateful to learn from them. Our rupee capital from domestic investors today constitutes to over 40% of the funds raised. This gives rise to a deep India expertise with us as VC Investors. While we become more and more deeply rooted as Indian, our footprint stays global. Many of our companies are based outside India, many are expanding to multiple new geographies: Be it HealthifyMe in Asia, Unbxd in US, CloudCherry in Middle East. We are Indians at heart and at the same time global in our approach with a strong footprint in USA, India, Middle East and South East Asia”. Sudhir said “We as Investors need to reinvent for the new India. We recognize that India is changing rapidly and at scale and we want to be the catalysts to support this entrepreneurship growth and change. The coming years will need us to be more agile, more innovative, give long term support for startups and recognize and adapt to these changes. As investors we will not only scale our investments rapidly but also our exits and returns to our LP’s. Sudhir Sethi, Founder & Chairman Chiratae Ventures (formerly IDG Ventures India Advisors) says “Our entrepreneurs embrace the unpredictable and exploratory terrains of the startup ecosystem, just the way a wild cat like a Leopard does in a jungle. ‘Chiratae’ – means leopard in the native language of Bengaluru, the Silicon Valley of India. But to us, Chiratae is not just that. Many members of our team are wildlife enthusiasts and nature lovers. Not only does Chiratae signify our team, and our interests. It is an emotion that signifies much more. Chiratae, our new identity is our way of communicating to our Investors and our Entrepreneurs we are ready for the new scaled India. On June 21, 2006, Sudhir received a call from Pat Mc Govern, Founder and Chairman of IDG Inc. Their first meeting on May 21, exactly a month earlier, which was scheduled for 30 minutes had gone for 2.5 hours. Pat asked Sudhir how much he was looking to raise. Sudhir mentioned $100 m. To his surprise, Pat asked “how about $150 million?” “IDG will provide the full $150 million”. Sudhir was stunned and asked for some time before he could call back. Turning to his wife Shalini, he said what was happening. And she asked him to call back Pat and accept the generous offer! Sudhir and TCM had not even prepared the fund documents, but had completed our fundraising in one month. All thanks to Pat. The team started making investments from Mar 2007 – Manthan, Myntra, FirstCry, Lenskart were amongst the firm’s first few investments. 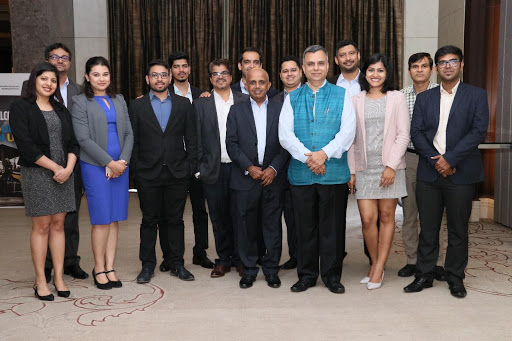 From that time when the team was seeing 300 deals in a year, the firm claims to get more than 3000 deals to look at – entrepreneurship in India has grown 10-fold in the last ten years. The team now comprises of 20 members across Bangalore, Delhi and Mumbai and has delivered exits to investors consistently for the past five years. The funds advised by the firm have had 2 IPOs and 2 Unicorns in the portfolio and many more industry leaders being created. The team is guided by an eminent advisory board – Mr. Ratan Tata, Former Chairman of the Tata Group, Mr. Kris Gopalakrishnan, Chairman of Axilor Ventures and ex Co-Founder of Infosys, Mr. Bruno Raschle, Founder, Managing Director, and Non-Executive Vice Chairman, Schroder Adveq Mr. Manish Choksi, Asian Paint Family Office, Dr. Jagdish Sheth, Marketing Guru and Mr. Venkataramanan Anantharamanan, Regional Co-Head of Standard Chartered Bank.